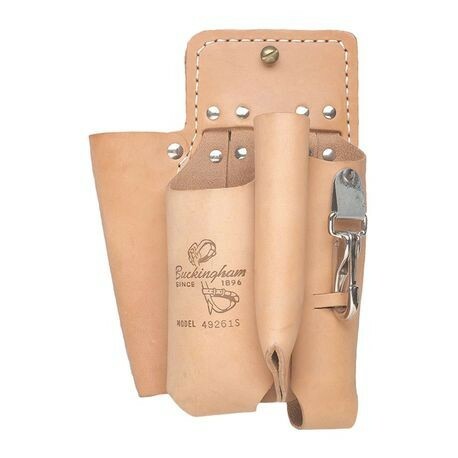 SHORT DOUBLE BACK HOLSTER (Item Description: 4 Pocket short double back holster, Color: Natural, Brown, Black or Burgundy) | Tallman Equipment Co., Inc. The 49261S model features a short back and a 2 way knife snap. Available in Tan, Black and Brown. 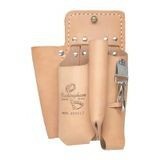 Note: to order left handed tool holders call 630-860-5666.